A good reason to keep buying the real thing! Read the article here. Spring is here! We are now open Tuesdays to Saturdays, 10 am to 4pm. Yeah! We've got Scrabble at the EarthFair Bookstore! We've also got some amazing local authors on feature. Stop by and discover more about our local writers. With love and thanks to all our customers and supporters! We will be stock-taking in early January – we will reopen SATURDAY JAN 5th 2019. 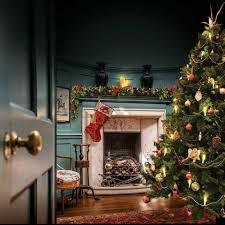 We are open Mondays through Saturdays and even open CHRISTMAS EVE! Find gifts for everyone on your list. Thank you to all our Lagoon Society staff volunteers and customers for your support. Our November feature is Jason Colby's new book ORCA. ORCA is now in stock and features whales of Pender Harbour as well as several local interviews.This book is sure to be of great interest to historians, mariners, naturalists and local families. Come to the high school to listen to Jason speak at his book launch on November 20th - 7pm! Come visit us at the Mushroom Festival! It is at Roberts Creek on October 12th and Maderia Park Community Hall on October 13th. We are very excited for the festival speaker, Robert Rogers. You can even pick up a copy of his book at the EarthFair Store! We love this season! Come check out books and gifts for Thanksgiving, fabulous cook books for winter meals, mushroom guides and books on the great outdoors. We are currently open Tuesdays to Saturdays. Enjoy September days with a good book! NEW in stock: Back to School, Early Learning, ABC's, Math, Sticker Books and more! We are now closed Mondays for the month of September. The EarthFair Store will be closed for the holiday this Sunday and Monday (August 5th & 6th)...so drop by tomorrow so you can curl up with a great Canadian mystery such as LOUISE PENNY! Summer time hours are Monday - Saturday, 10am - 4pm. Nature lover? We have you covered! Field Guides, maps, food containers for hikes, baby children and young adult books, marine guides, mosquito nets, and LOTS of fun stuffies! Register your child (ages 7-11) for day camp right here at the EarthFair Store. Day camp takes place August 27th - 31st. We are now open 6 days a week for June! Stop by Mondays through Saturdays for a good book, trail maps, picnic items and NEW Beekind wax food wraps! You can also support the Lagoon Society by grabbing a membership. Make every day Earth Day. We have a full range of field guides. natural history books. and maps. Kids of all ages love our children's selection! As of April 1st, we are open 5 days a week (Tuesday - Saturday). We are open Tuesday to Saturday over Spring Break. Plenty of great gifts and books for children and young adults. Nature Centre is FREE! Open extra days (Thursdays to Sundays). 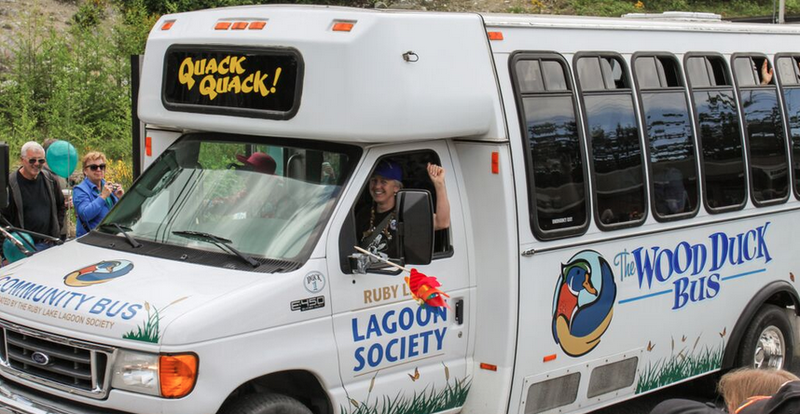 Take the Wood Duck Bus Thursdays Mar 22 or Mar 29. Happy New Year! Thank you for your support over the last year. Local Jennifer Love has brought in her family's novel WATERSHED. Join your team in Lagoon Society PODS fundraiser for Trivia Night on Friday Jan 19th, at The Legion in Madeira Park. Trivia begins at 7pm, please arrive by 6pm to check in & order food! $5 pp, max 5 people per team. Winter hours are in effect. We are open Wednesdays through to Saturdays, 10am to 4pm. Cozy up with a new book or a wild stuffy! Our big Penguin order has arrived! We have the LATEST and BEST titles for you and your shop list. And don't forget, we are open late every Friday this month. Downtown Madeira Park – craft fairs, lights, avoid the city crowds! During November we are open 5 days a week (closed Sundays and Mondays). Get prepared for Fall with a good book, and enjoy the long evenings and rainy days. Don't forget to make a bid on our beautiful, locally made Halloween quilt! Bidding ends Friday, October 27th at 3pm. Meet HARRY the dog when he visits the EarthFair Store on Tuesday, October 3rd from 10 to 11am...or order a paw printed copy today! We've been getting vists from some local authors! Terry Milos, who many know from the Pender Harbour school days, has just released the story of her life: NORTH OF FAMILIAR.She will be returning to Pender to celebrate her book. Join us in the celebration on Sunday, September 10th. Now open 6 days a week, Monday - Saturday! Come see our new PODS promotion items or make a donation here for our Pender Harbour Ocean Discovery Station. We have all new books, novels, summer reads, maps, history, local authors, marine guides and greeting cards. Perfect for naturalists, bird lovers and bookworms of all ages! The EarthFair Store will be open both Friday and Saturday over the long weekend. We are now open 5 days a week, TUESDAYS to SATURDAYS 10am to 4pm. Visit us for HUMMINGBIRD FEEDERS, Canada Reads Selection and New Titles. Join the tour of the lights ! Happy Holidays! Perfect gifts for your loved ones. New Fall Hours - Open 5 days a week Tuesdays through Saturdays – 10 am to 4 pm. Come check out our new novels, field guides, maps, bear bells and compasses! MUSHROOM SEASON IS HERE - Books for all levels of interest! See us a the Mushroom Festival, Saturday October 15 at Madeira Park community hall. We are happy to be hosting your BC BOOK Afternoon, Friday October 21st at the Painted Boat. There are fall colours inside the EarthFair store! We are welcoming fall with our latest novels and mushroom and bird field guides. We continue with full opening hours during September: Monday to Saturday, 10am to 5pm. Book Launch AND Jazz Festival! Join us at Frank Appletons Memoir on Friday, Sept 16 from 12 – 2pm. Jazz, beer, meet the author and so much more! Summer is here we are open 10 am to 5 pm, 6 days a week (Mondays to Saturdays). We can help you enjoy summer! Unplug, Connect to Nature, Read a good book. MEET Local Author Artist Actor GEORGE CONNELL reading his poetry anthology. Saturday April 9th1 – 3 pm....Cheeky Funny and LIVE ! Owl Houses, bird feeders, field guides, gardening and wildlife plush toys and books for all ages. The year is coming to a close, and the holidays are upon us. Find cozy gifts and perfect books for everyone on your list. We are stocked with soaps, toys, the latest novels, a brimming children's section, cook books, serveing both outdoor and indoor enthusiasts! Thank you for shopping with us, we wish everyone a happy holiday season! We love Nature at the EarthFair Store! Visit us in store to see our selection of Wild Animal Stuffies for your loved ones, toques to keep warm on your outdoor adventures this season, and our array of earth-friendly stock including our popular S'well Bottles. Briony Penn, The Real Thing: The Natural History of Ian McTaggart Cowan - Signed Copies in stock! We at the EarthFair Store are very excited to announce that the Iris Griffith Centre is receiving a visit from local author Briony Penn in November to present her brand new book, The Real Thing: The Natural History of Ian McTaggart Cowan. Join author Briony Penn for an entertaining afternoon celebrating the life of this remarkable scientist, naturalist, educator and quiet activist. Ian McTaggart Cowan (1910–2010), revolutionized the way North Americans understood the natural world and is known as the “father of Canadian ecology.” From his formative years roaming the mountains around Vancouver looking for venison to his last years co-editing the voluminous and authoritative Birds of British Columbia, Cowan’s life provides a unique perspective on a century of environmental change—with a critical message for the future. He was no stranger to the suppression of scientists or challenging pipelines, hydro projects, pesticides and industrial logging - all before most of us were even born. He pioneered nature television in its very earliest days and later hired David Suzuki. Clips from his original CBC TV shows will be played as well as readings from the book, recollections of his life and his thoughts on the future. http://cowantherealthing.com. Briony Penn is a naturalist, broadcaster, educator, and writer well known across Canada. As a journalist, columnist and author, Briony has a publishing record of hundreds of articles for newspapers, magazines as well as books, government publications and peer-reviewed journals. She is also an artist and has exhibited and published widely on natural history themes. Briony is a pioneer of community mapping and has created numerous artistic community maps that have been replicated across North America and Europe. In the last 20 years, she has also been an active community researcher on biological/cultural topics, a mentor for young activists and raised two wonderful sons. The Real Thing will be in bookstores at the end of October.